Norma Jean McCraw Harris, 81, of Hampton, Georgia passed away peacefully at home on Sunday, October 28, 2018, after an extended illness. She was born in Gaffney, South Carolina on September 11, 1937 to the late Floyd and Vivian McCraw. She retired from Rich’s Department Store after 22 years. 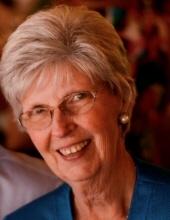 Norma was a loving and devoted wife, mother and grandmother. She also was a member of McDonough Road Baptist Church. Norma was preceded in death by her parents, brothers Almarine and Wallace McCraw, and sisters Sue Stuart, Delia Champion, and Rozell Turner. She is survived by her husband of 60 years, Albert L. Harris; her daughters, Sandra Roberts (Gary) and Janice Harris Raiford; her grandchildren, Brittany Williams (Robbie) and Jessica Taylor (Trent); her great-grandchildren, Weston and Emerson Williams and Hudson Taylor; her sisters, Edith Gardner, Elaine Curtis, and Katherine Champion; and numerous nieces and nephews. Her funeral service will be at 11:00 AM on Wednesday, October 31, 2018 in the Chapel of Mowell Funeral Home, Fayetteville, Georgia, with Dr. David Chancey officiating. The family will receive friends from 10:00-11:00 AM prior to the service. A graveside service will be held at 2:30 PM at Grassy Pond Baptist Church Cemetery in Gaffney, South Carolina on Friday, November 2, 2018. The family will receive friends from 1:00-2:00 PM at Blakely Funeral Home, 1047 Chesnee Highway, Gaffney, South Carolina. The family lovingly requests no flowers. Contributions can be made to McDonough Road Baptist Church, 352 McDonough Road, Fayetteville, GA 30214, http://www.mcdonoughroad.org/. To send flowers or a remembrance gift to the family of Norma Jean Harris, please visit our Tribute Store. "Email Address" would like to share the life celebration of Norma Jean Harris. Click on the "link" to go to share a favorite memory or leave a condolence message for the family.